Pleasantly quiet, lightweight and very powerful battery blower for professional use, especially in urban, noise-sensitive areas. Round nozzle, soft handle, three power levels with additional boost function, three-level length-adjustable blower tube, lifting eye for support cushion. 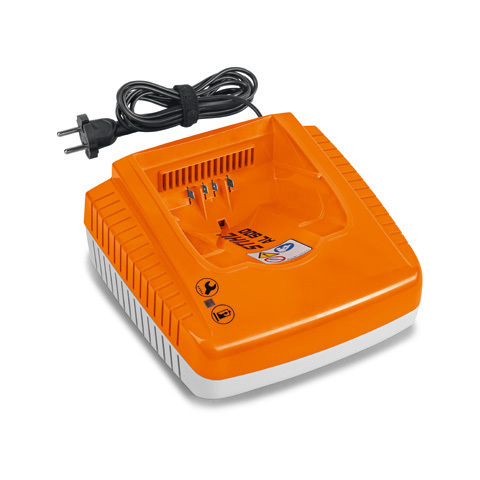 The AR 3000 backpack battery with support cushion and comfort carry ring is recommended when working for extended periods, while the AP battery is available for shorter periods of work. Regardless of the power setting users select, they can switch to maximum blowing strength by exerting positive pressure on the control lever. The handle position does not need to be changed to do so. The blower tube can be adjusted to three different lengths to best fit the size of the user. 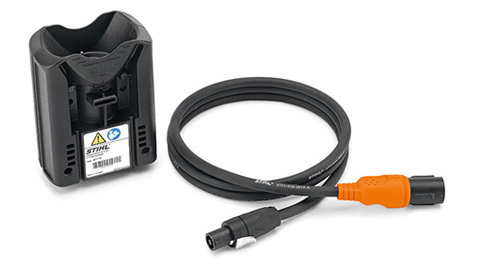 This prevents unnecessary loss of power and performance due to the tube being too far away from the ground. 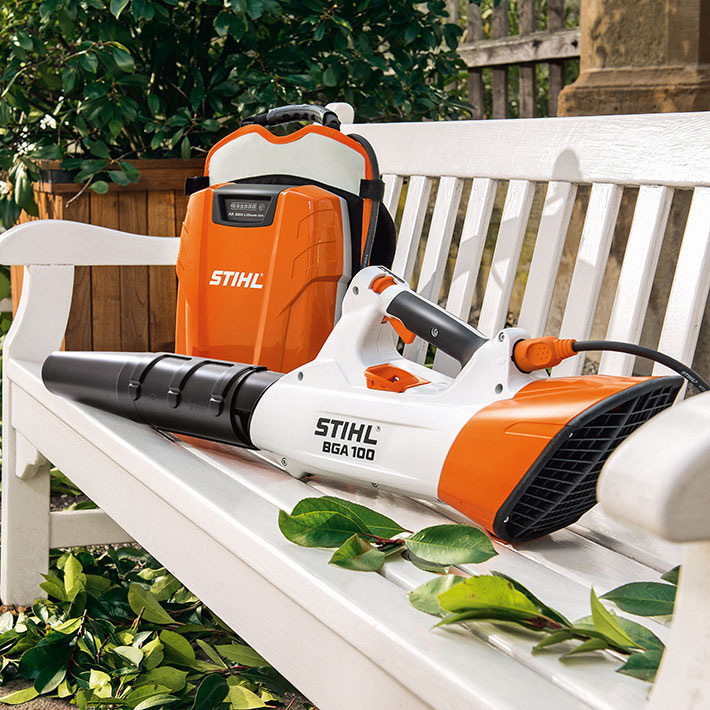 To ensure maximum energy efficiency, the blower features three different power settings for different jobs. 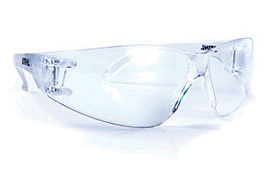 LEDs light up to indicate the respective power setting. The ultra-compact blower unit is powered by a high-performance EC motor. In combination with the centre of gravity being close to the handle, the tool boasts very flexible and agile operation. When in use or during a break, the tool can be suspended on the ring in the hip pad, which considerably eases the strain on the user. 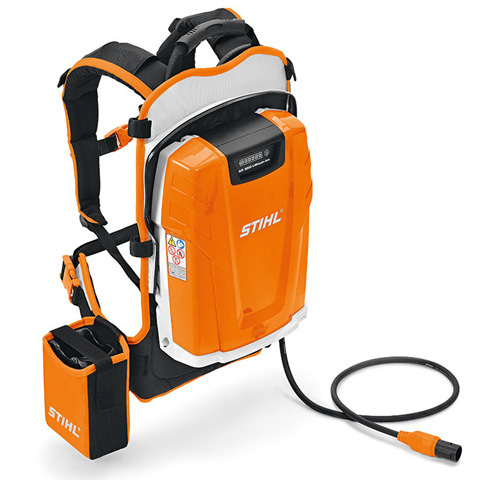 Electronically controlled STIHL electric motor (EC). 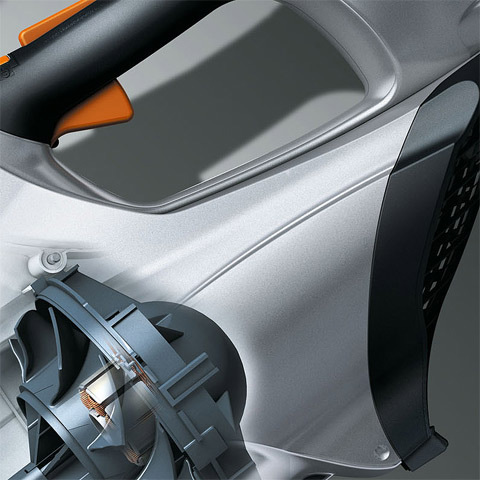 The STIHL electric motor (EC) works without carbon brushes, has virtually no mechanical wear and convinces with an efficiency that goes far beyond the conventional electric motors. 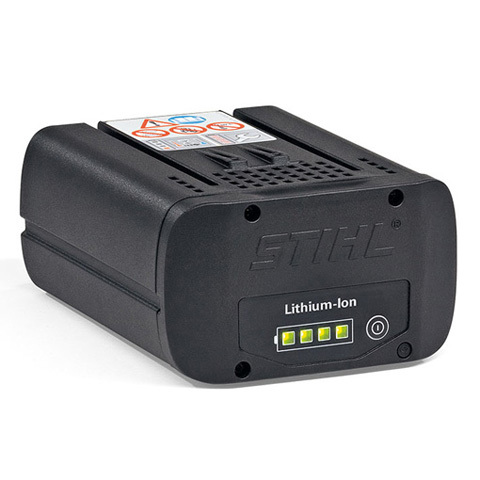 Therefore, the battery power is best implemented in performance. 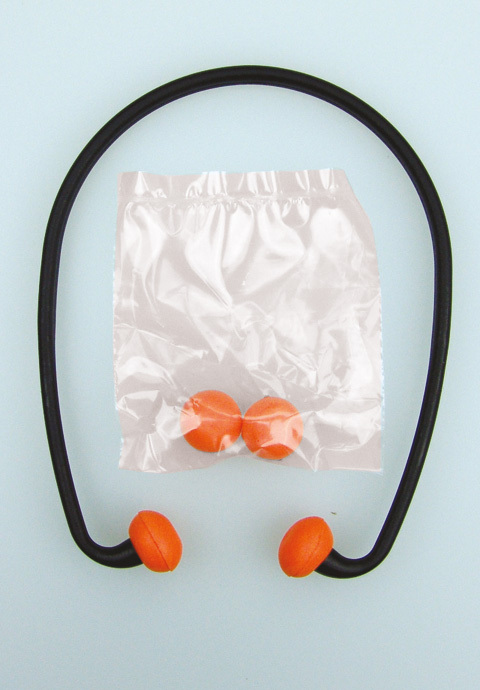 Hush Buddies are ideal for low noise products e.g. lawn mowers and grass trimmers.